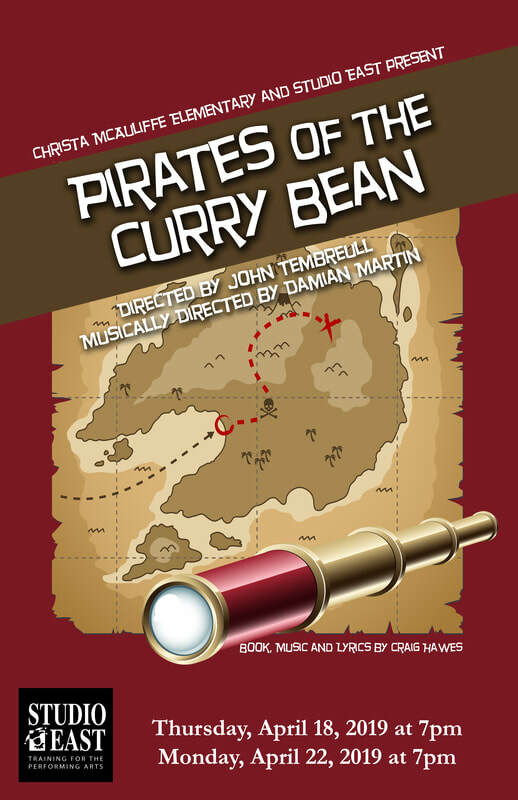 This years' play is based on Pirates of the Caribbean but with a twist! It is open to all 4th and 5th grade students who would like to participate in a fun musical production. Studio East provides the directors, script, music, set and costumes while McAuliffe provides kids who want to have an awesome theatre experience! Cost is $99/student. Scholarships are available. Contact Lisa Craig for more information. Information about the play and how to purchase tickets will be coming home in Payload Packets some time in March. Studio East Training for the Performing Arts is a 501(c)3 nonprofit providing theater arts education and opportunities for children in Kirkland and surrounding communities. Starting with one theater program for teens in 1992, Studio East has become one of the largest children’s theater training programs in the Seattle Metro area. Today, between the Studio’s camps and classes and its professional, adult touring arm, StoryBook Theater, Studio East serves over 70,000 people annually. Read more on the Mission and Philosophy of Studio East here or click the logo above to visit their website. Theatre is a collaboration of different players. In many cases the quality of any performance relies on an ensemble performance. Combining the creative ideas and the abilities of all participants is required for the best outcomes. This requires all those taking part to engage in discussions, feedback, rehearsing, and performing together. It seems obvious to say that drama, theatre and the performing arts improves verbal and nonverbal communication, but it is worth stating that this benefits young people through their life. It improves vocal projection, articulation, tone of speech and expression. It also develops listening and observation skills. Drama brings elements of play, humour, and laughter to those taking part and viewing the performance. Drama improves motivation and reduces stress. Performing, even the most passive performances, requires physical exertion from cardiovascular to calming nerves. Many performing arts exercises improve flexibility, coordination, balance, and control. ...a benefit that transcends cultures and time.